“Keep the quality up” with that slogan Quality Control Department of BEXIMCO PHARMA performs its day-to-day duties. Quality control is responsible for the day-by-day control of quality within the company. This department is stuffed with scientist and technicians who asses and assure that entire production process has been completed satisfactorily and satisfied all the aspects of GMP through preserving the purity and quality of the product. Receiving of the samples to be tested from QA department. Issuing release, reject or quarantine advice for each batch of raw material and final product. Assessment of the intermediate products and bulk products for further processing. Performing all test procedure for all incoming samples according to the schedule. Maintaining batch wise full quality control tests record and signature of the persons who perform the test. Calibrations and standardization of laboratory equipments. 8. Ensuring precision and accuracy of all testing methods. Control of all laboratory reagents. Research and development of any new method and its validation. Testing of any return goods. Stability tests for finished products. Performing long time stability testing. 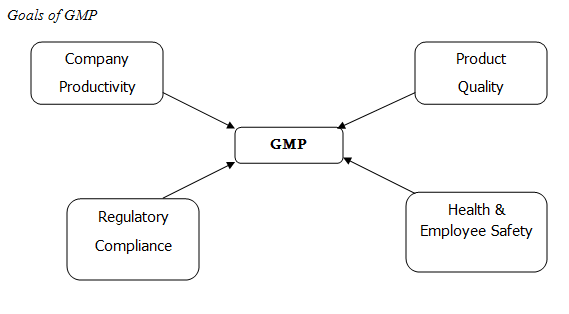 GMP provides basic standards for the manufacturers of drugs and from the basis on which each company build its own systems procedures to assure the product quality. GMP ensures that products consistently produced and controlled to the quality standards appropriate to their intended use. 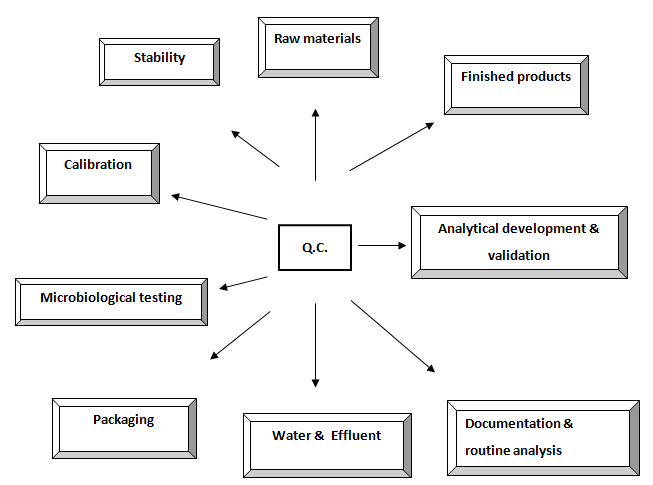 It is a basic requirement for establishing an effective QC system. QC department is a well organized department. It has the authority of approval or rejection of each batch of starting, packaging and final materials on the basis of testing. Personnel at all levels have accountability to carry out their responsibilities to meet the quality goal. All equipments are calibrated at specified intervals. Most of the equipments & machineries are connected with printers thus there remain no chance of manipulation. Laboratory has a complete list of all the reagents needed. Solid reagents are stored in alphabetic orders and separated from liquid reagents. The reagents need to be stored at low temperature is refrigerated. Flammable reagents have segregated area. Moisture sensitive reagents are stored in desiccants. For every operation in QC written instructions are available. It has master control procedure (MCP) for every material. It has SOP for every action. SOP is strictly followed by analysts. Appropriate sampling is a vital step in GLP. To facilitate correct and appropriate sampling procedures sampling must be done at conditions same as production environment e.g. sterile raw materials & products are sampled under laminar air flow. The incoming goods and finished products are tested according to BP, USP, EP as per requirement laid down specifications. All test results are recorded on a test record sheet (TRS). All Q.C. records relating to a batch analysis are a part of the batch documentation. The purpose of documentation is to record important information with evidence. It is preserved at least one year after batch expired date. Following characteristics are checked in raw materials. Text of the printed materials. Compatibility of closures with bottles. Weight (gram per m2) of cartoons for checking materials. Final testing of finished product is made in the quality control laboratories. The testing of finished product for compliance with predetermined standards is a critical factor for product release. Following characteristics are checked in finished products. Establishing documented evidence that provides a high degree of assurance that a specific process will consistently produce a product meeting its predefined specification & quality attributes. Good validation practice requires the close collaboration of departments such as those concerned with development, production, engineering quality assurance & control. It deepens the understanding of process, decrease the risk of processing problem & thus assure the smooth running of the process. It decreases the risk of defect cost. It decreases the risk of regulatory non-compliance. A fully validated process may require less in process control & end product testing. Sampling may be defined as the process of removing an appropriate numbers of items from a population in order to make inferences to the entire population. The object of sampling and subsequent testing is to provide an effective check on the quality of the product or substances being processed. 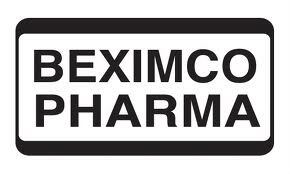 In Beximco Pharmaceuticals Ltd, sampling is performed by the quality control department. For the active ingredients, the sample is withdrawn from each container. Stability test is done for the following purposes. According to ICH Guidelines our country fall in zone III and IV. As a consequence the following conditions apply for the stability study. In Beximco Pharmaceuticals Ltd. Real time & Accelerated condition is maintained. If significant changes occur in accelerated conditions then the product is observed for any significant changes in real time stability study for 1 year.